Michael Avenatti, the lawyer best known for representing Stormy Daniels in her lawsuits against President Trump, was arrested Monday as federal prosecutors filed charges accusing him of attempting to extort millions of dollars from Nike by threatening negative publicity right before an earnings call and the N.C.A.A. men’s basketball tournament. In court documents filed Monday, federal prosecutors in Manhattan said that Mr. Avenatti and a client, a former youth basketball coach, told Nike that they had evidence Nike employees had funneled money to college recruits. The prosecutors said the men threatened to release the evidence in order to damage Nike’s reputation and market capitalization unless the company paid them at least $22.5 million. Mr. Avenatti attempted to extract the money “by threatening to use his ability to garner publicity to inflict substantial financial and reputational harm on the company if his demands were not met,” prosecutors said in a statement. The documents refer to a co-conspirator, who is Mark Geragos, according to a person with knowledge of the investigation. Mr. Geragos is best known for representing former quarterback Colin Kaepernick in his collusion case against the N.F.L., which was recently settled. He also represented Mr. Kaepernick in his negotiations with Nike over 2017 and 2018, which resulted in Nike making Mr. Kaepernick one of its highest paid football endorsers and a face of a new advertising campaign. Mr. Geragos didn’t respond to phone calls or an email seeking comment. Mr. Berman declined to say why Mr. Geragos had not been arrested. He said the investigation was continuing. The N.C.A.A. declined to comment. Last year, two former employees of Adidas were among those convicted of fraud for their participation in a similar scheme, outlined by prosecutors in the Southern District of New York, based in Manhattan, in which families of recruits were paid in exchange for their sons’ commitments to college teams sponsored by Adidas. Mr. Avenatti could not be reached for comment. The company said when it became aware of the matter, it immediately called federal prosecutors and worked with attorneys at the law firm Boies Schiller Flexner, which aided the investigation. 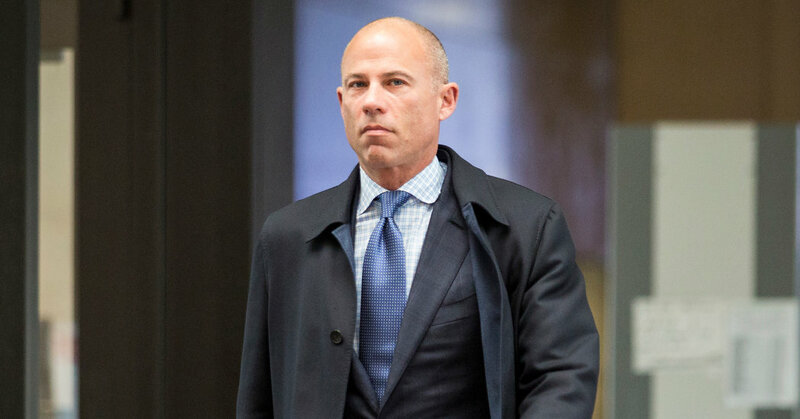 Mr. Avenatti was arrested in New York. He also faces charges in federal court in Los Angeles, where federal prosecutors accused him of bank and wire fraud. He was charged with embezzling a client’s money to pay his debts and defrauding a bank with false tax returns to obtain loans. Nicola T. Hanna, the United States Attorney in Los Angeles, said the two cases are unrelated, but the authorities in California and New York coordinated to arrest Avenatti and execute search warrants at the same time. In the Nike case, the federal prosecutors said Mr. Avenatti represented a coach whose team recently did not have its contract with Nike renewed, according to the court documents. Mr. Avenatti told Nike that he had evidence that at least three former high school players were paid by Nike in ways that were intended to be concealed, the documents said. Mr. Avenatti, according to prosecutors, threatened that he would hold a news conference at a moment when it could maximally disrupt Nike: before its quarterly earnings call last week, which also coincided with start of the N.C.A.A. men’s basketball tournament. The tournament is among the biggest annual events on the sports calendar, featuring many prominent teams, like Duke, North Carolina and Kentucky, who are sponsored by Nike. As an alternative, prosecutors said, Mr. Avenatti said he would accept $22.5 million from Nike for him and his client in exchange for their not releasing the evidence. According to the complaint, Avenatti told Nike that his client’s information, if publicized, would ultimately lower the value of Nike stock by billions of dollars. He believed that once he went public, parents, coaches and players all across the country would reach out to him with information about payments that violated N.C.A.A. rules. “The company will die — not die, but they are going to incur cut after cut after cut after cut, and that’s what’s going to happen as soon as this thing becomes public,” Avenatti said in a meeting with Nike lawyers that was video and audio recorded. Nike, Adidas and Under Armour sponsor dozens of basketball teams for high school players that compete mainly in the summer. The equipment companies shower those teams with tens of thousands of dollars in financing and apparel, and also organize massive tournaments attended by the country’s most prominent college coaches. More than high school basketball, these leagues represent the central hub of recruiting for college basketball programs. Avenatti was in New York, where he was scheduled to meet with Nike executives. Instead, he was arrested and brought into the F.B.I. office for processing. The 2017 charges of corruption against former Adidas employees and several other figures in college basketball, including assistant coaches at major programs, rocked college basketball, and prompted the suspensions of players at Kansas, Louisville, Auburn and elsewhere and the firing of Hall of Fame coach Rick Pitino from Louisville. There have been three convictions in the case so far and several guilty pleas. In a trial scheduled to begin next month stemming from those charges, lawyers for defendants have pledged to put major head coaches on the stand, which may reveal further corruption at other programs.